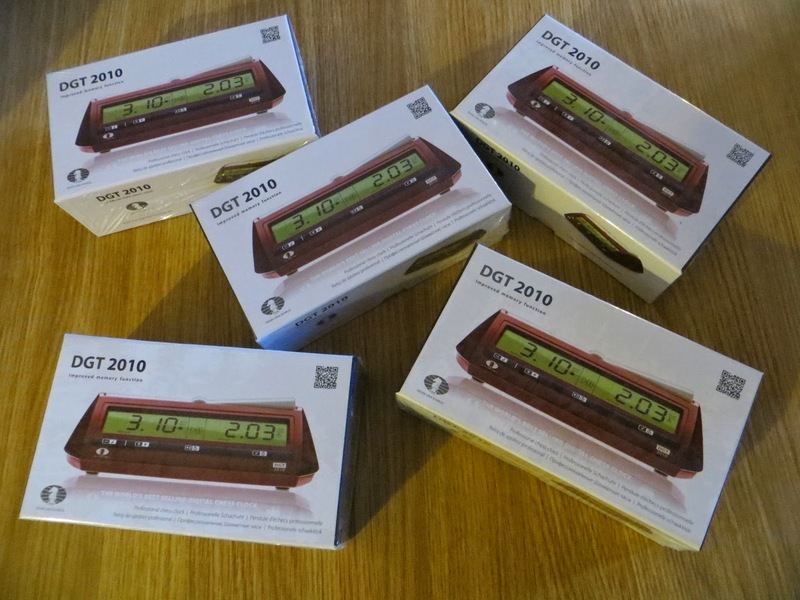 I have five brand new DGT 2010 digital clocks for sale at £50.00 each. First come first served! They come complete with batteries and instructions. Also available are boxed sets and semi-rigid boards at £15.00 each (set and board). Contact me if you or your club would like one (or more).